Listen to "Over the Top" on your iOS and Android device. 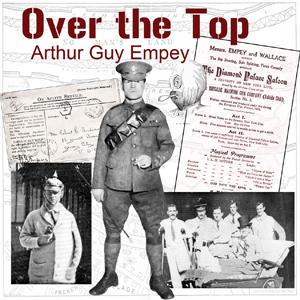 Arthur Guy Empey was an American who responded to the sinking of the Lusitania by enlisting with the British Army to fight in France. His experiences in the trenches, including his ultimate wounding and convalescence, became this book. When published in 1917, it was a major hit and helped the recruiting effort when America entered the Great War. If you've heard of the horror of trench warfare in WWI and want to see it from below dirt level, Empey offers it all here. Very good book. Very interesting accounts of the first world war in France. Only criticism is the bad English accents the american narrator has. But still very enjoyable and informative. More about daily life in the trenches and less the horrors of ww1, still a great read with lots of interesting details of the war. Definitely worth it, especially as it's free.